Hand Made Custom Surfboard candle holder. This unique piece of art is hand shaped with a very gentle curve just like a real surf board and the fins are mortised into the board. 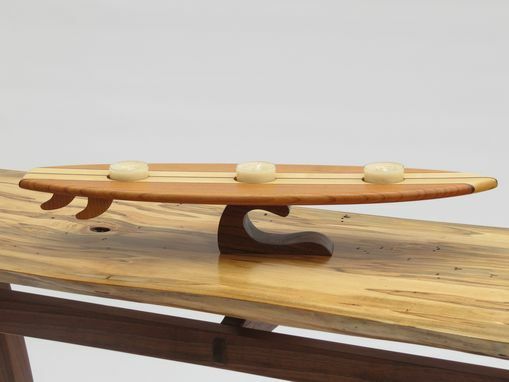 The board is made up of Maple, Cherry and Black Walnut hardwoods and it rides on its own wave stand. The dimensions are 18 inches long by 5 1/4 wide. 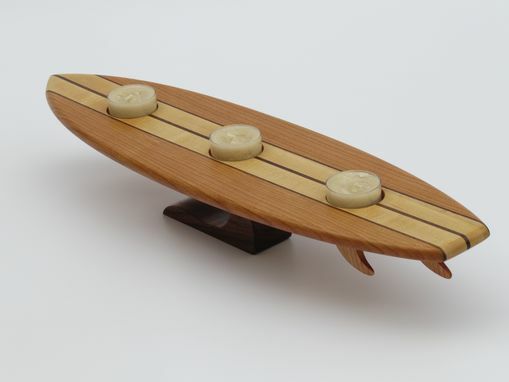 This can also be made without the tea light holes if you would just like a surfboard display. If you have any question or special requests do not hesitate to ask.